This recipe is a keeper. One that you’ll want to fold up and put in the recipe box. It’s perfect for a quick weeknight dinner, sophisticated enough for company, and so easy that it actually inspires you to cook a single serving just for you. It’s one of my favorites. This recipe falls under the category of pan sauces. What does that mean? It means that while the ingredients might change, the basic steps stay exactly the same. You add fat to a hot skillet and sear off your protein (chicken, fish, meat, etc). After it’s cooked through, you remove the protein from the skillet and set it aside, covered with foil. 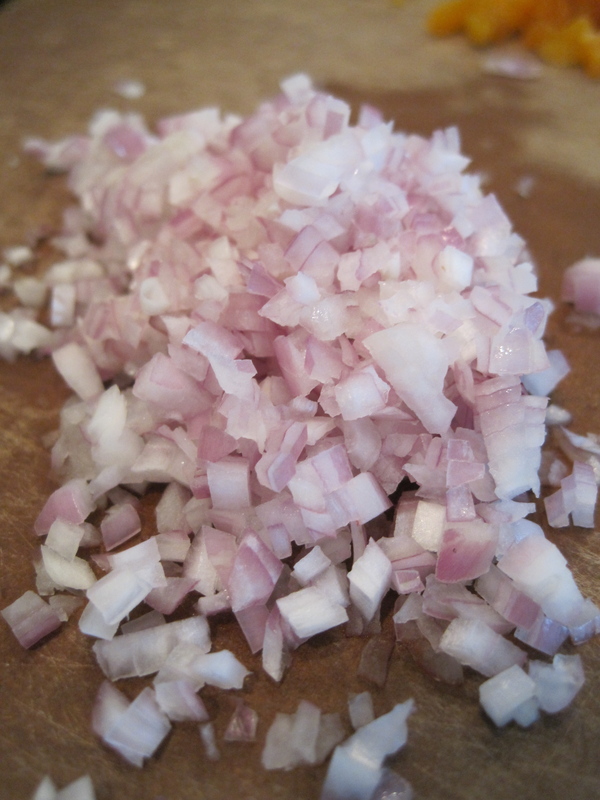 You then add aromatics (think onion, shallot, and garlic) to the pan and sauté briefly until just soft. Then you add a liquid (chicken broth, wine, vermouth, bourbon) to deglaze the pan. What’s deglazing? It’s adding a small amount of liquid to a hot pan that allows you to scrape up all those brown bits (known as “fond”) that are stuck to the bottom of the pan. I also refer to deglazing as being nice to the dishwasher. Once most of your deglazing liquid has evaporated, you add more liquid (like chicken broth, beef broth, apple cider, wine, etc.) and then reduce to your desired consistency to make the sauce. Easy, right? Let’s review. Cook the meat and set it aside. Add aromatics to the pan. Deglaze with a small amount of liquid. Add more liquid and reduce to make the sauce. Now google “pan sauces” and see how many recipes use these same steps. You’ll want to make them all, but start with this one. It’s a good place to begin. * Want to see how to make “Pork Medallions with Bourbon-Apricot Sauce?” Click here to see me prepare this recipe on WCNC’s Charlotte Today show. Happy cooking! 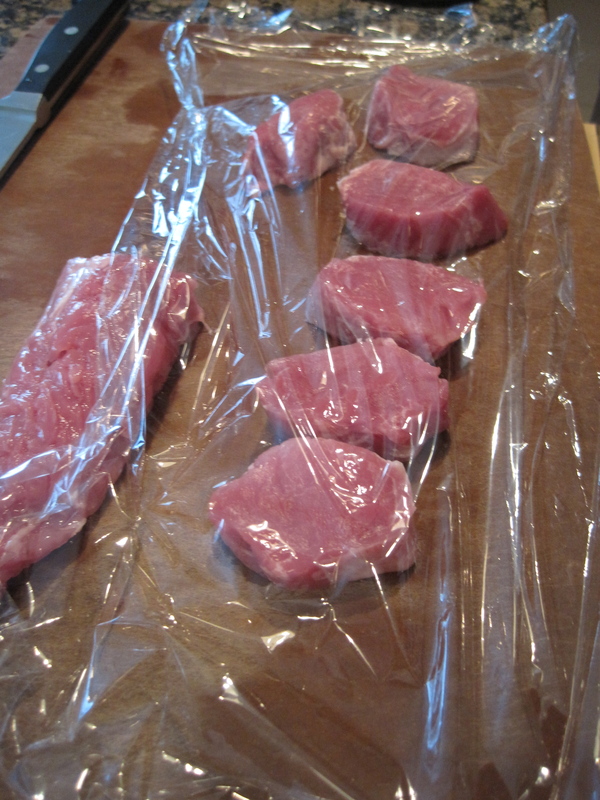 Cut the pork tenderloin into six equal-sized pieces. Working with one piece of tenderloin at a time, place it between two pieces of plastic wrap and gently pound it to an equal, ½-inch thickness using a meat pounder. Set aside and repeat with the remaining tenderloin pieces until you have six, ½-inch thick medallions. 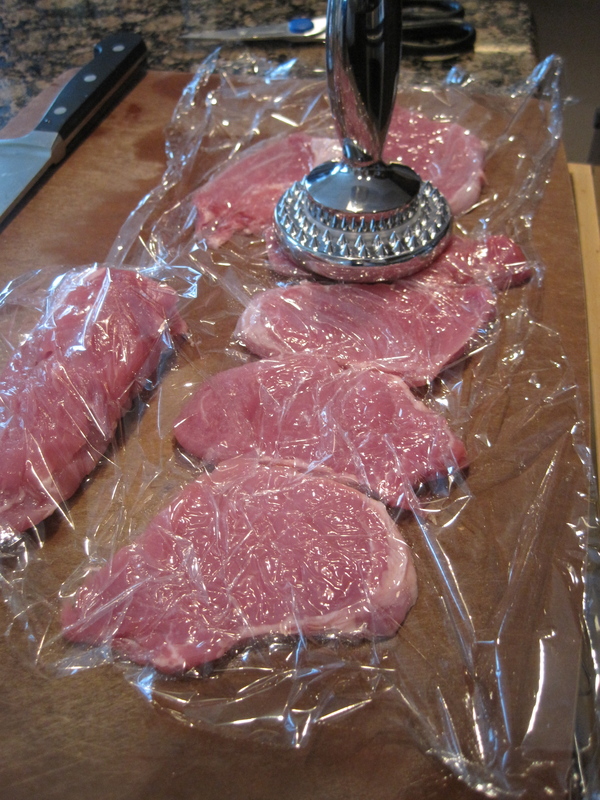 Pat the pork medallions dry with a paper towel and them season them with salt and freshly ground black pepper. Heat a large (12-inch) skillet over medium heat until hot. Add the olive oil. Add the pork medallions to the hot skillet and cook for about 2 minutes on each side or until cooked through. Remove the cooked medallions from the pan and set aside, covered with foil. 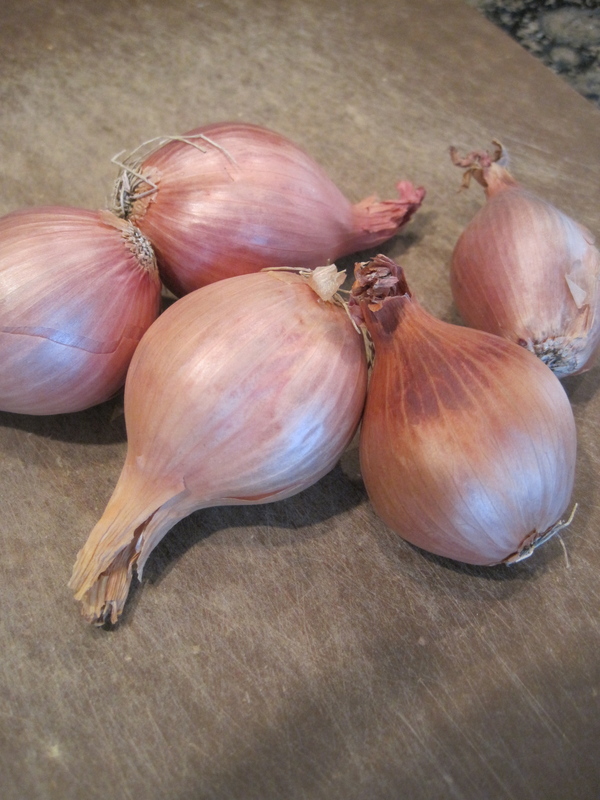 Add the minced shallot to the skillet and cook, stirring constantly, for about 1 minute. 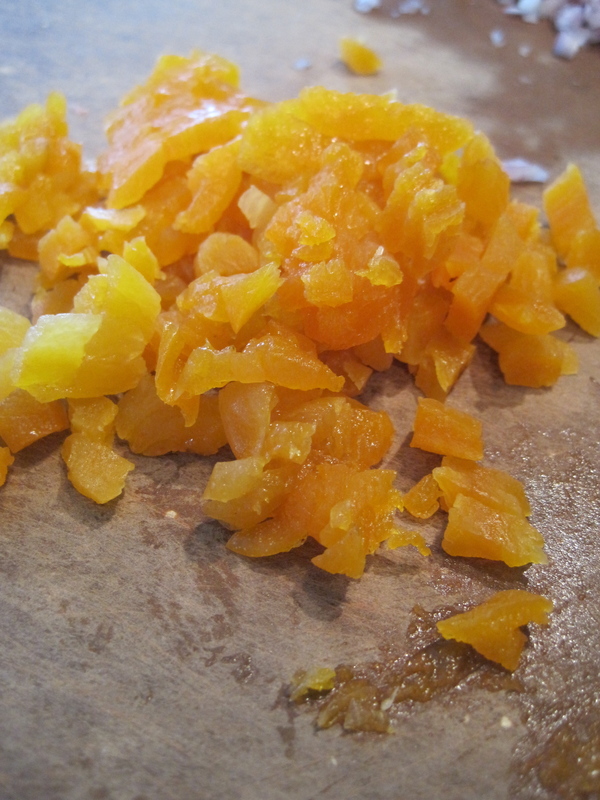 Stir in the dried apricots. Remove the skillet from the heat and carefully add the bourbon. Return the skillet to the heat and sauté until almost all the bourbon has reduced/evaporated. While the bourbon is reducing, use a wooden spoon to scrape up any browned bits from the bottom of the pan. Add the chicken broth and bring to a simmer. Simmer the sauce until reduced to the desired consistency. Serve the sauce over the pork medallions. Enjoy! Thanks, Julie. Things have been super busy – I’ve missed having the time to write on Minced! Hope things are going well with you!